Is Bob Stoops about to have his Brett Favre moment with the Vikings? Or Roger Clemens the second time around with the Yankees? How about Michael Jordan’s Wizards days? You get the point. 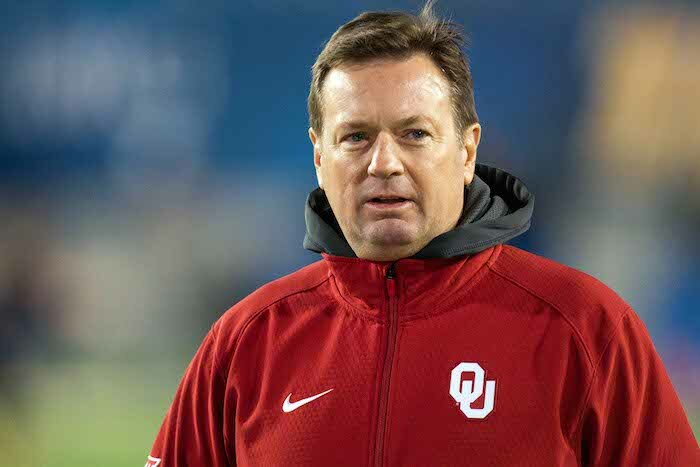 Bob Stoops held a press conference on Thursday to announce his plans to be the next head coach and general manager of the Dallas-based franchise of the rebooted XFL. When I heard the news, I must admit I was shocked. 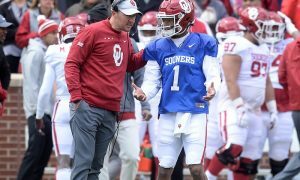 Bob Stoops is a buttoned-up guy, who doesn’t need the money, insisted he had no intentions of coaching again, and seems to care greatly about his legacy and image. So the XFL?! Really?? Vince McMahon? He Hate Me? That circus is what Bob Stoops is coming out of retirement for? A guy who had one of the great college coaching careers of the last generation? Wow! 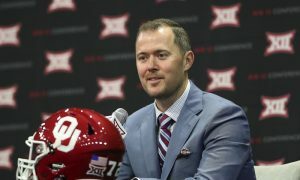 Stoops will still have time to enjoy his golf and the rest that comes with retirement, especially watching his sons play football at OU, since the XFL will begin play in 2020 during the early part of the year and will feature a 10-week regular season. According to ESPN, Stoops liked the idea of getting back into coaching without it being overly time-consuming. That is kind of an odd thing to say, no? It’s like Stoops wants to get back into coaching, but on his terms and his time. That’s cool. Plenty of successful people do similar things in their later years. I just don’t know if that method or style applies to coaching football, considering the competition and natural grind of the job. Can you really be a football coach, at any level, on your own terms? 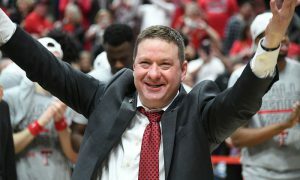 Sure he doesn’t have to run around the country recruiting, but I can’t imagine that doing this job right is a 20-hour-per-week gig, except for when there is the lull after the season ends. Also, when it comes to Stoops’ move, I’d ask, at what cost to his image? Will the XFL be as big of a circus as it was from 1999 to 2001. Don’t forget, while the ratings started off with a nice spike, they quickly dropped off thanks to the comparisons to the WWE. Granted, the rebooted version has promised to not utilize the same sports entertainment features associated with the original, which is all well and good, but that’s no guarantee it’ll be a smashing success. In fact, odds are it will fail. 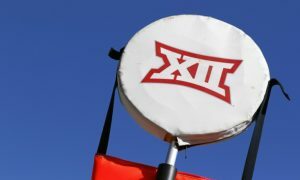 However, a nice sign of at least a changing of strategy is the hiring of former West Virginia athletic director Oliver Luck to be the league’s commissioner. He’s a serious guy and accomplished professional not interested in the circus, although I do wonder if he’s secretly an NFL plant set on destroying the league, especially considering his son is Colts quarterback Andrew Luck! 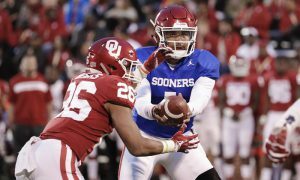 That’s all well and good, but if the league does crash and burn, like the last time around, will this be the lasting legacy of Bob Stoops? 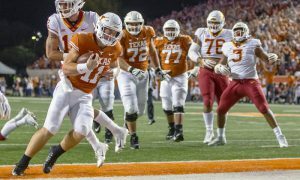 Not winning another Big 12 title in 2016, but instead running up and down the sidelines screaming at washed up football players? I hope not. 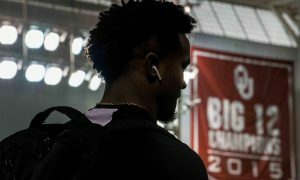 Bob Stoops has worked too hard to craft his image and build his legacy as he sees fit. 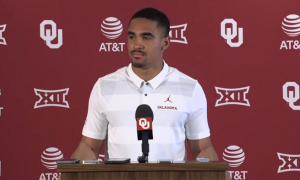 He left OU on top, still holds sway in the program, and gets to work on his 5-iron whenever he pleases. He certainly received calls from other college programs and maybe even an NFL call or two. Instead, he’s put that pristine image on the line for the XFL. Seems risky to me. I just hope it’s not a negative lasting image of Bob Stoops on a sideline.